The 2018 AMA Supermoto National Championship Series features six rounds of action beginning April 14 in Boise, Idaho, giving professional and amateur racers the chance to demonstrate their skills on both dirt and pavement. Supermoto is a mixture of street-style racing and motocross in which racers compete on a track that combines dirt and pavement and includes jumps and sliding through turns. Track venues can range from football stadiums to closed-course streets to parking lots. The series, sanctioned by the AMA and promoted by DRT Racing Inc., crowns professional and amateur champions and features four classes: the Pro Open class, the Pro Lites class, the Amateur National class and the Sportsman class. “We are honored to have this opportunity in bringing supermoto to the people for the next three years,” said Alex Mock, president of DRT Racing Inc. The series also is sanctioned by FIM North America as the FIM NA Supermoto Continental Championship. 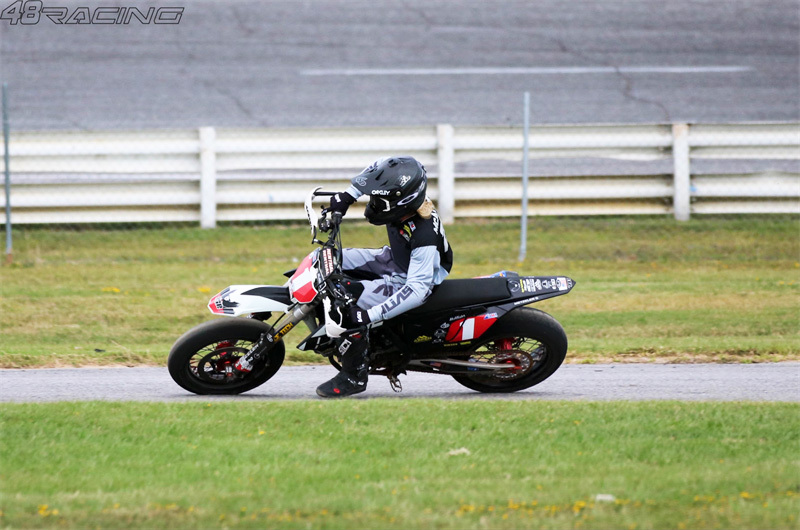 For more information about the AMA Supermoto National Championship Series, visit the promoter's website: www.drtracinginc.com.